Even in today's economic climate, when so many investors and major companies are failing, Warren Buffett continues to be successful in all aspects of his life. Mary Buffett and David Clark have written the first book ever to take an in-depth look at Warren Buffett's philosophies for personal and professional management — what they are, how they work, and how you can use them. Known as the “Oracle of Omaha”, Warren Buffett was once the richest man in the world. With an uncanny ability to sniff out good companies that beat the market time and again, Buffett was able to amass an amazing fortune of US$44 billion. What’s amazing is that he also intends to give most of it away to charity. Buffett’s company, the world famous Berkshire Hathaway group, own some 88 businesses and employ 233,000 workers worldwide. What few people know is that Buffett is not just a savvy investor but a great manager and business leader. 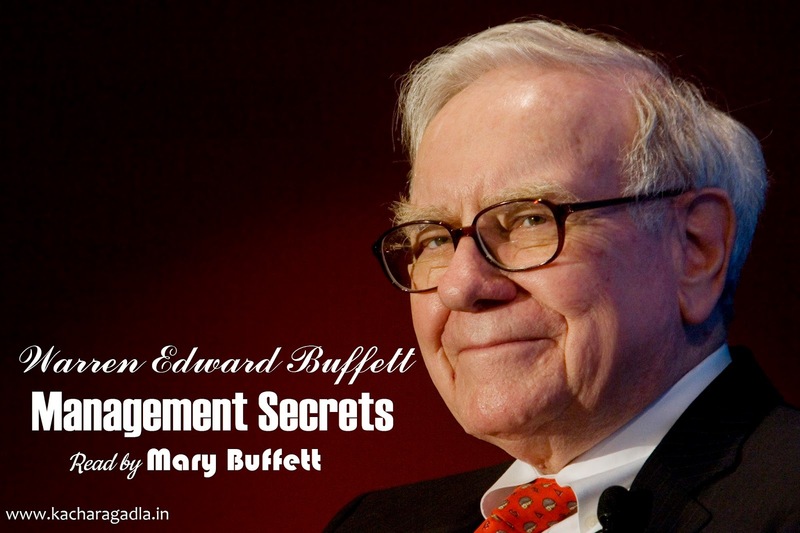 In the audio book, “Warren Buffett’s Management Secrets”, Mary Buffett (Buffett’s former daughter-in-law) and David Clark depicts some of the management philosophies behind the billionaire’s success. Here, we’re told that the best companies to invest in and to work for are those with strong financials and balance sheets (as opposed to the touchy feely stuff like values, vision and so on). Buffett goes for companies that have unique products, scale advantages that allow them to generate significant margins, have healthy price/earnings ratios, generate good margins, and stay away from debt. Those he admire include Coca-Cola, Wrigleys, Wal-Mart and Apple, while General Motors comes with a huge “stay away” warning. Known for sticking to long-term rather than short-term investments, Buffett prefers to address the fundamentals rather than adopt technical analyses of businesses (he poo poos much of the investment banking community). Quoting from the book: “..if you find yourself working for a company with poor inherent economics, it is better to get out now than it is to stick around year after year waiting for things to change.” Good advice indeed, at least for those who want to succeed financially in a company that issues fat paychecks! In this section, the authors shared how Buffett delegated and empowered his CEOs (there are 88 of them), and focuses on a few outstanding individuals among the pack. Warren’s style is one of picking the right people and giving them as much leeway as possible to get the job done. Painted more like a coach and mentor, he doesn’t scold his business leaders if they make mistakes but instead, encourages them to do better. Adopting a principle of management by asking questions (rather than issuing orders) – a stark contrast that with the other legendary business leader Steve Jobs – Buffett focuses on the major things and leaves the rest to his managers. The mantra used is “Delegation to the point of adjudication”. Buffett looks for managers and leaders with integrity, intelligence, and a passion for the business. Through various stories, we’re told of people that embody those qualities and joined the Berkshire Hathaway group in diverse businesses ranging from machine tool parts manufacturing, jewellery to retail. Business ethics and the propensity for “the truth, the whole truth and nothing but the truth” is key. Buffett highlights that “Managers who always promise to ‘make the numbers’ will at some point be tempted to make up the numbers”. Apparently, Buffett is a keen fan of Dale Carnegie’s How to Win Friends and Influence People, adopting many of his precepts in people management. With the right folks in place, Buffett finds various ways to motivate his managers and employees. Key lessons here include encouraging others to come up with the right ideas, speaking to the other person’s wants and needs, and using praise (rather than criticism) to encourage. An anecdote I remembered was one where Buffett went all the way to the airport, driving his gold Cadillac and picking up a new business leader who was just recruited to join a business. He brought her around his hometown in Omaha, Nebraska, bought her lunch at a fancy restaurant and introduced her to employees in the company. I think its quite amazing that a business leader of such stature was willing to do that for a new joinee! 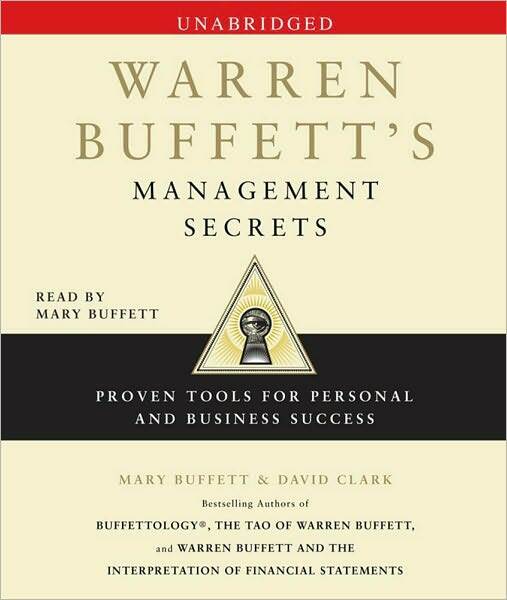 The final part of the book focuses on 10 key managerial axioms that underscore how Buffett lives his life. One can tell that he has a huge aversion to borrowing money of any kind – personal or professional. We’re also told that we should learn from our mistakes instead of ignoring the lessons contained therein, keep our business costs low, bank on the tried and true, pursue excellence and “scale up” in life, amongst other “Warren-isms”. While I enjoyed listening to the audio book (much of it over a two hour bicycle ride), I found that many of the lessons aren’t really rocket science. One can’t really embrace all the tenets of the slim volume and hope to become a billionaire through osmosis. Having said that, I was personally motivated and inspired by Buffett’s emphasis on simple solutions and philosophies to business and management problems. "This amazing book captures in vivid detail Warren Buffett's most important management secrets, allowing the reader to take action with their new knowledge. Mary Buffett and David Clark have again shown their ability to reveal Warren's thought processes better than any other authors." "Among the many striking management lessons in this book from one of the world's most successful managers is Warren Buffett's focus on human passion: When you hire people who love what they do, they make you look like a genius." Could you manage like Warren Buffett? When Warren Buffett was a lad of eight or nine, he picked up a book in his grandfather's library. Over the next decade or so, he read it over and over again. The book was a self-help manual for aspirant businessmen, perhaps the most famous of all time: How To Win Friends And Influence People, by the former salesman Dale Carnegie. The book consisted of a set of 30 rules, including: 'If you are wrong, admit it quickly and emphatically', 'Everybody wants attention and admiration. Nobody wants to be criticised' and 'Call attention to people's mistakes indirectly. Let the other person save face'. To my way of thinking, most of them are so crashingly obvious as to be worthless. They seem roughly on a par with: 'Look left and right before crossing a road' or 'Don't attempt to climb a mountain wearing roller-skates'. 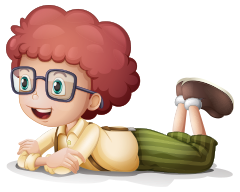 But then I am no businessman: to be absolutely honest, I don't know the difference between gross and net profit, let alone what equity might be. And how! In 2008, Warren Buffett was ranked as the richest man in the world. He has now dropped into second place (behind Bill Gates) but only because he gave billions of dollars to charity. Small wonder, then, that Warren Buffett has now replaced Dale Carnegie as the guru for all aspirant billionaires: there are now about 50 books with his name in the title, his closest competitor in the self-help field being, oddly enough, the Dalai Lama. Buffett's former daughter-in-law, Mary Buffett, and her co-writer, David Clark (billed on the jacket as 'a globally recognised authority on the subject of Buffettology') have added to this Buffett mountain with a series of slim volumes, designed to tempt the reader into thinking that, if he follows these simple steps, he too will end up as the Master of the Universe. Called things such as The Buffettology Workbook and The Tao Of Warren Buffett, they have been translated into 17 languages and have sold more than 1.5million copies worldwide. I'm sure every publisher will soon be jumping on to this Buffett bandwagon: I'm already looking forward to How To Pose In The Buffett by Katie Price and How To Prepare A Finger Buffett by Gordon Ramsay. Until then, we must make do with this, the latest in the Mary Buffett/David Clark line of goods: Warren Buffett's Management Secrets, subtitled Proven Tools For Personal And Business Success. The book consists of fewer than 150 pages, or barely 100 pages once you have removed the index, the glossary, the acknowledgements and the blank pages that divide each of the 30 chapters. Anyone could polish it all off in a couple of hours. This suggests that in the Secrets Of Self-Help Book Success, rule number one is: Keep It Short. And rule two, first established by Dale Carnegie, is Never Be Afraid To State The Obvious. This rule is demonstrated in the book's conclusion, printed on the last page: 'Remember: borrowing less and saving more is the path to riches and to sleeping well at night. Borrowing more and saving less leads to wild times and bread lines.' Could one honestly describe this as a 'secret'? The book is divided into five 'steps'. Step One is Pick The Right Business To Work For, Step Two is Delegate, Step Three is Find The Right Manager For The Job, Step Four is Motivate Your Workforce and Step Five is Managerial Pitfalls, Challenges, And Learning Opportunities. This final step includes chapters called Learn From Missed Opportunities and Sycophants - Are They An Asset Or A Liability? I won't ruin it for you by telling you the answer to this question, but - who knows? - you might just be able to guess anyway. Needless to say, the figure of Warren Buffett hovers over it all, though the authors never tell us whether Mr Buffett gave his approval for the book, contributed five minutes to it, or was even aware of its publication. Throughout, he is treated with a reverence usually reserved for a deity. 'Even in today's economic climate... Warren Buffett continues to be successful in all aspects of his life,' the blurb gurgles. The tone throughout is genuflective. Writing of a woman whose successful jewellery business Buffett was considering buying, the authors suggest that: 'Merely talking to Warren would be a highlight of her career.' This suggests that, at least in the publishing business, sycophancy is still considered a winning asset. As tycoons go, Buffett is clearly better than most. Nevertheless, you don't get to own 88 businesses and employ 233,000 workers worldwide simply by saving more than you borrow, making people feel good about themselves, and learning from your mistakes. Businessmen may become philanthropists, but philanthropists don't become businessmen. St Francis of Assisi did not become the CEO of a global chain of bird shops. 'requires the key managers of each of the companies he owns to write him a letter telling him who in the company would succeed them if they were to die tomorrow. These letters are updated each year. This way, if something does happen to one of his managers, time won't be wasted in trying to find a replacement.' Charming! Any manager with a hint of self-respect would be tempted to recommend the biggest numbskull in the building. And the authors blithely maintain that when Buffett is buying a family business 'he understands that the owner may want to sell the company for the most money possible, but that person also needs to make sure that the company's loyal employees are well taken care of and that once sold, the company isn't broken apart and sold off piece by piece'. All very sweet, but what they don't mention is that when he bought Berkshire Hathaway, which is now Buffett's umbrella organisation, it was a family-run textile business. After gradually winding down the textile business, Buffett finally pulled the plug on it, leaving the remaining 400 textile workers - some deaf from the roar of the machines - without jobs. Many would classify this as one of Warren Buffett's key management secrets: but it is a secret that, being a little too harsh, the authors of this book have thought it best not to divulge. For over twenty years, Mary Buffett has been considered a leading authority on the subject of Warren Buffett’s investment methods. Her international bestselling investment books, co-authored with David Clark—Buffettology, The Buffettology Workbook, The New Buffettology, The Tao of Warren Buffett, Warren Buffett and the Interpretation of Financial Statements, The Management Secrets of Warren Buffett, Warren Buffett and The Art of Stock Arbitrage, and The Warren Buffett Stock Portfolio—have been translated into twenty-four foreign languages and are considered “investment classics” the world over. Ms. Buffett is an international speaker, entrepreneur, political and environmental activist, and has appeared on television as one of the top finance experts worldwide. She has been the principal speaker for prestigious organizations around the world. Ms. Buffett has worked in a wide range of businesses including extensive work as a consultant to several Fortune 500 companies. She is an associate of the top ranked UK Buffettology Fund in the United Kingdom. In 2013 she became a contributing blogger to the Huffington Post. The blogs and information about the UK Buffettology Fund are on her website MaryBuffett.com.